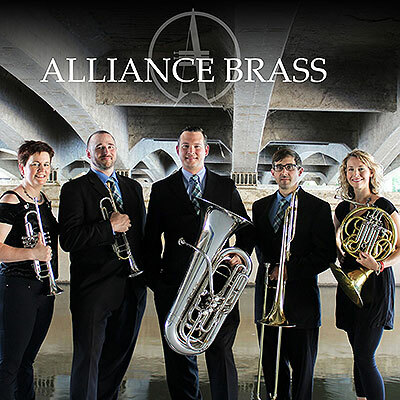 Established in Chicago, 2010, the Alliance Brass has emerged as one of the country's most exciting brass ensembles. Acclaimed as "the perfect blend of virtuosity and vitality" (Chicago Brass Festival), they dazzle audiences with a repertoire ranging from Broadway hits including West Side Story and The Music Man, to Hollywood favorites of the great Henry Mancini, Ennio Morricone, and Harold Arlen. Other works include the theme music of James Bond and rock classics from Queen.